Updated to reflect the recent major changes in the high school equivalency exam, this manual presents a full-length diagnostic test with answer keys, answer analyses, and self-appraisal charts. The diagnostic test is followed by reviews of all GED test subjects, which emphasize proficiency in high-school level math, reading comprehension, and writing skill, as well as knowledge of social studies, arts, and literature. 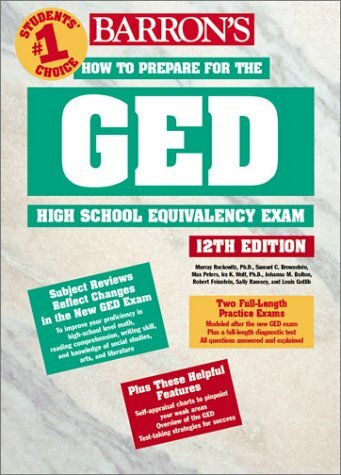 Two full-length practice exams modeled after the new GED exam complete this manual. They come with all questions answered and explained.